air joe is proud to serve the Woodridge community! We are proud to be a part of this community, serving your heating and air conditioning needs: air joe is listed in many directories under titles such as : Woodridge Heating Contractors, Woodridge Heating, Woodridge Air Conditioning, Heating Repair, Air Conditioning Repair, Woodridge Heating and Cooling Contractors, Rooftop HVAC Repair, Ductless AC Systems, Boiler Repair and Woodridge Heating and Air Conditioning Contractors. We are here for you whether you need furnace or air conditioner repairs, heating and cooling estimates, equipment replacement or new installation of a furnace, air conditioner, heat pump, rooftop heating and cooling or comfort products to improve the air filtration for your home or business. 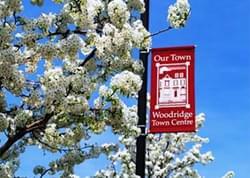 About Woodridge, IL - Happy to be your hometown Heating & Air Conditioning Contractor! The Village of Woodridge is located approximately thirty miles southwest of Chicago in the Illinois counties of DuPage, Will, and Cook. Founded in the late 1950’s by residential developer Albert Kaufman, the village is home to more than 32,000 residents who enjoy the beautiful seasonal climate that graces the region with hot humid summers, cold snowy winters, and lovely moderate weather during spring and fall. An outdoor sports and recreation lover’s paradise, The Village of Woodridge features over forty-two village parks maintained and operated by the award-winning Woodridge Park District, as well as a number of premier recreational facilities that include the Seven Bridges Ice Arena, Edward Health and Fitness Center, Cypress Cove Family Aquatic Park, and Village Greens Golf Course. The Woodridge Bikeways System provides over thirty miles of paved pathways, linking the village to more than a hundred miles of trails and bikeways that meander throughout surrounding communities. Woodridge is also home to several forest preserves and green areas, including the Greene Valley Forest Preserve, Waterfall Glen Forest Preserve, and Morton Arboretum, among others. The Village of Woodridge loves to celebrate, hosting a number of fun-filled, family festivals each year for the enjoyment of residents and visitors alike! Villagers and guests can usher in the summer with the Woodridge Jubilee, an exciting four-day extravaganza held each June featuring food, games, carnival rides, live music, and more, followed by the annual Fourth of July Picnic at Castaldo Park and fall festival in October at nearby Johansen Farms. Conveniently accessed via I-55 and I-355, Woodridge’s ideal location makes it a great place to live or visit in Chicagoland!